Do you remember me mentioning a vacation? Well, I'm back! I got back on sunday night (I've been lazily pinning and beach-going all week). 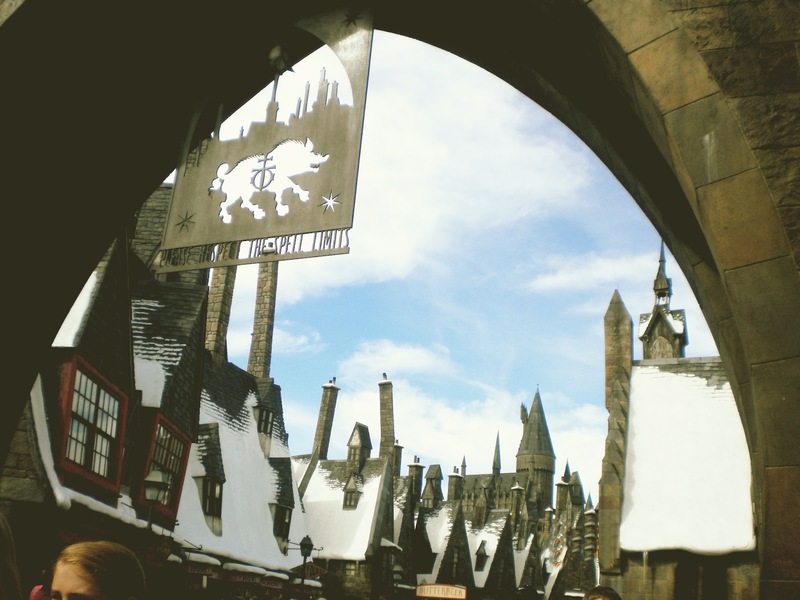 Anyways, the first part of my trip was to Hogsmeade. I went into all of the adorable little stores and had a lunch of a turkey leg and salad at the Three Broomsticks. Not only did I enjoy a few frozen butterbeers, but I became addicted. The worst part about leaving was that you can't get butterbeer like that anywhere else. I bought a wand at Ollivander's too! It was amazing to see the little town that I had read about and imagined for years right in front of my eyes! This is what you see when you look around you when you enter Hogsmeade, gaping like a kid in a candy store (or a witch in Honeydukes). 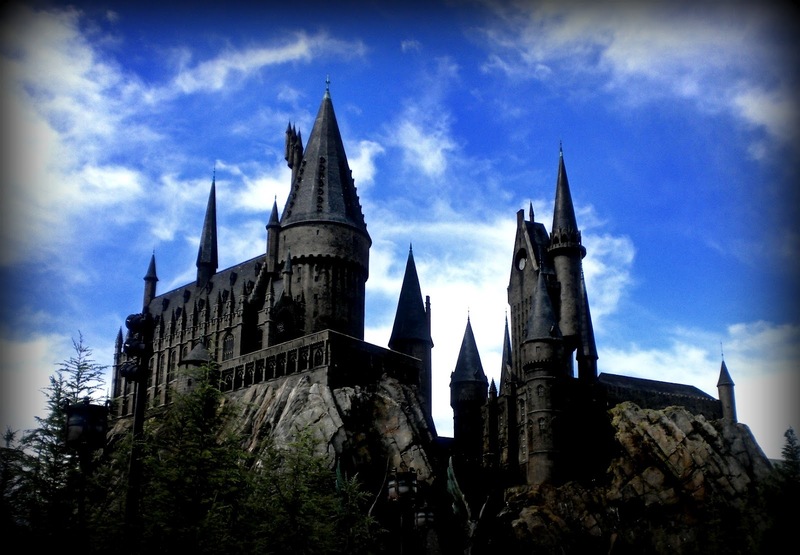 I also swung by Hogwarts to visit some of my Professor friends and play a game of Quidditch or two. After leaving Florida I went to my cousin's house for a few days. Make sure to check out the blog of the person who ate half my turkey leg and shared her butterbeer with me when I finished mine. Hello lovelies! My name is Jade, and welcome to my blog. All text, graphics & photographs on this site are my own, unless otherwise stated. You are welcome to use photos from this blog but please link back to me.